The animal kingdom is not separate to the human realm in Indian culture and mythology. Both Hindu and Buddhist beliefs situate humans, animals, and birds on the same plane of existence, sharing cycles of reincarnation. 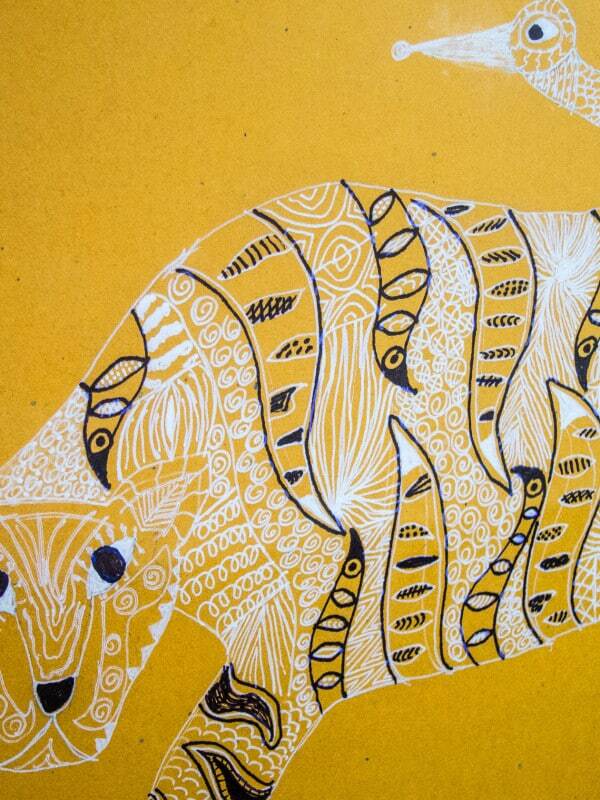 In India, sacred animals are highly visible in everyday life as they are venerated. Both wild and domesticated animals also play a prominent role in religious expression and are commonly seen in tourism, agriculture and industry. Throughout your travels in India, you’ll come across depictions of animals and birds incorporated into all types of arts and crafts, from the cheapest tourist trinkets to the most ancient artifacts. These are some of the most common. The peacock is the National Bird of India and has a vital place in symbolism and mythology. You’ll see the flamboyant peacock frequently appearing in many forms of art including literature, jewelry, craft, ancient and contemporary paintings, murals, rock carvings and decorative motifs on buildings. 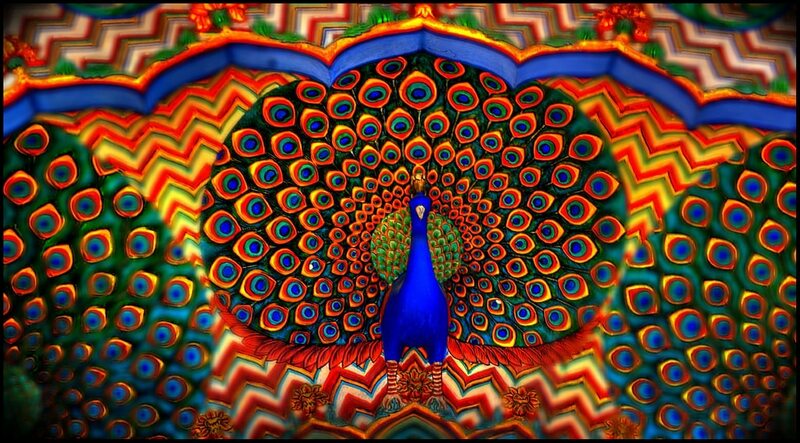 The peacock has significance in Buddhism, Hinduism, Islam, and Christianity, and has also been celebrated as a secular symbol of beauty, love, romance and life itself. The lost Peacock Throne remains a talisman for the riches of the Mughal Empire of India. If you’re lucky, you’ll also see a male peacock dancing as he tries to woo a mate. Elephants are highly visible throughout India for their religious and cultural symbolism as well as their practical application as a working animal and tourist attraction. Hindus worship Lord Ganesha who is depicted with an elephant head and represents success and education. 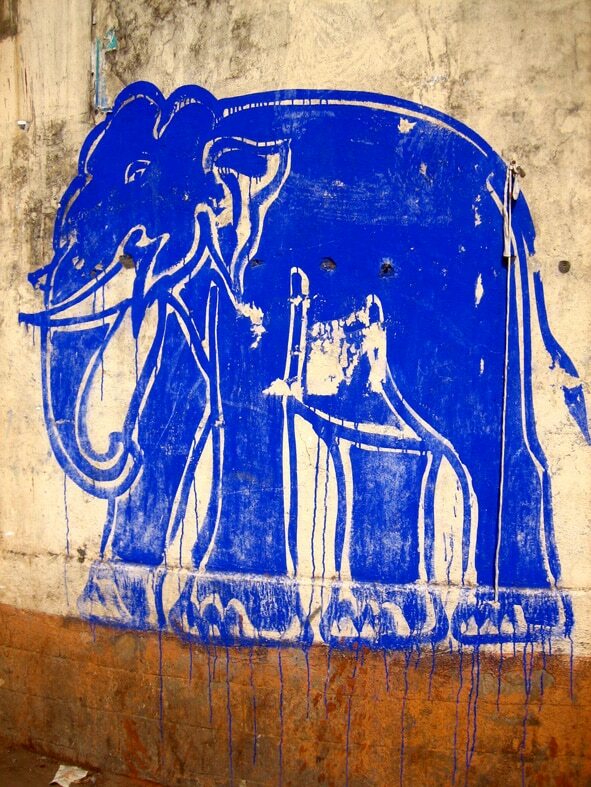 Elephants are also represented as vahana, or vehicles of the gods. If you want to spend time with elephants while you’re in India, be sure to research ethically operated elephant sanctuaries, as not all elephants are kept in ethical conditions. 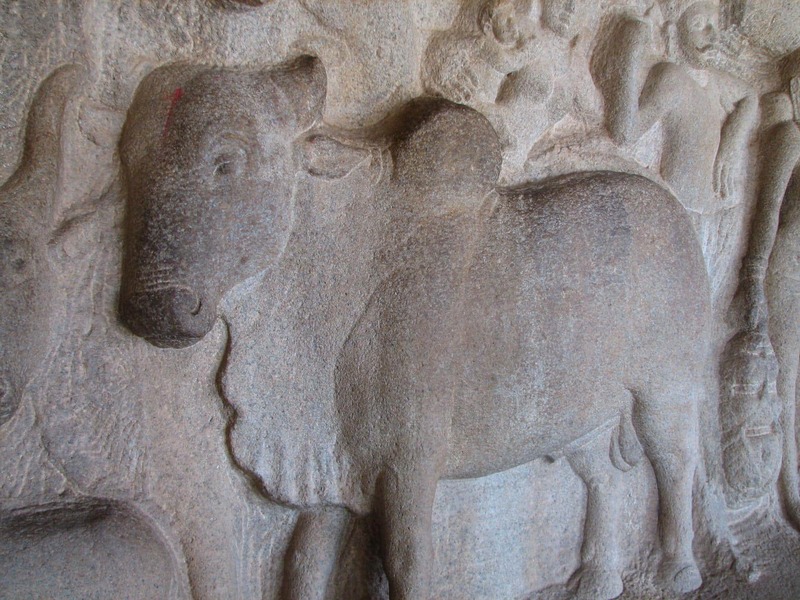 Few animals represent the conflict between religious iconography and everyday Indian reality more than the humble cow. The cow is revered in Hinduism as representing the mother goddess who gives life. Cows are banned from slaughter in many Indian States and visitors to India are equally delighted and exasperated by the millions of ‘sacred cows’ wandering around the cities and countryside. Yet the role of the revered and holy cow in India is becoming increasingly contested. Like the cow, the monkey is ubiquitous in urban India and presents similar challenges for public safety and animal welfare. The monkey is depicted in the Hindu god Hanuman, the god of power and strength. Devout Hindus leave food out for monkeys at temples where they congregate and increase the attraction for tourists who love the photogenic mischief-makers. Monkeys can be widely seen in Hindu religious artworks but are also associated with Gandhi who famously owned almost nothing but whose possessions included a small statue of the three wise monkeys. The tiger and lion share the role of carrier or vahana of the Hindu goddess Durga who is a powerful and protective mother goddess. By association, the tiger is seen as embodying power and strength. The Royal Bengal Tiger is the National Animal of India. 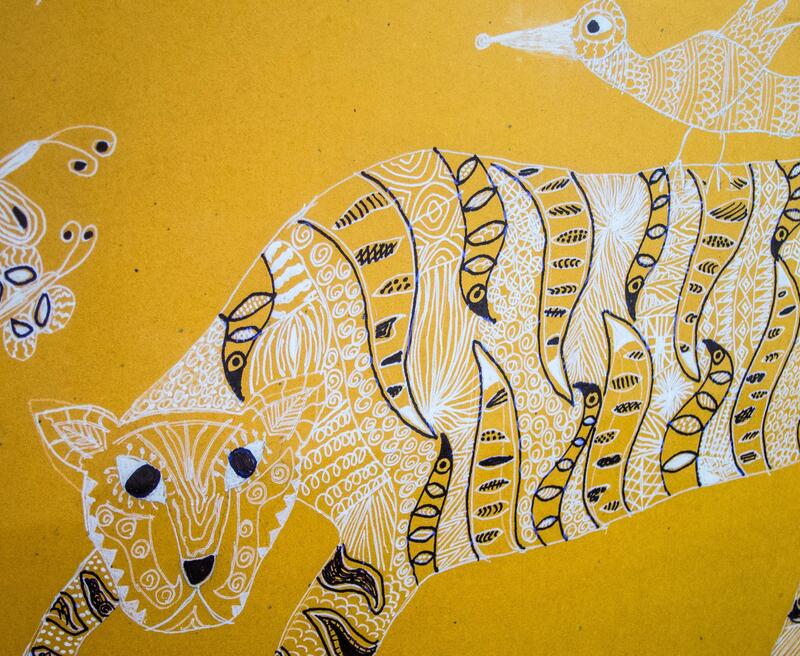 The imagery associated with the tiger has been widespread throughout Indian history from the earliest cave paintings to the contemporary revival of folk art.